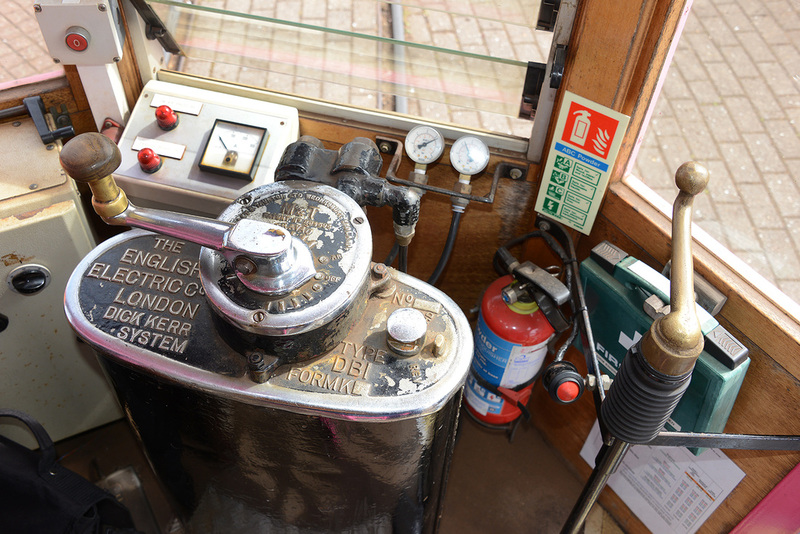 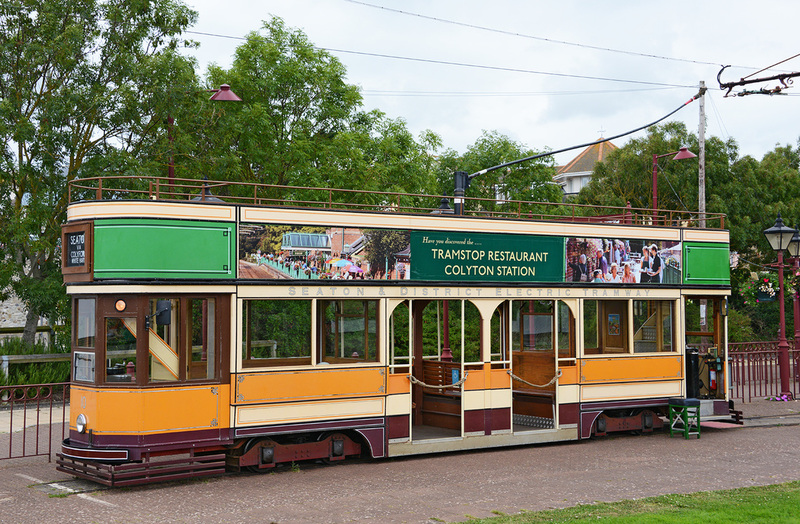 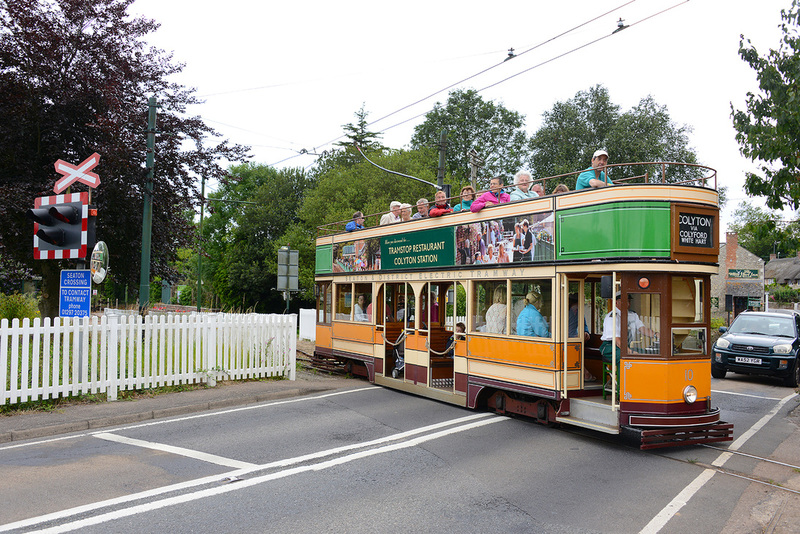 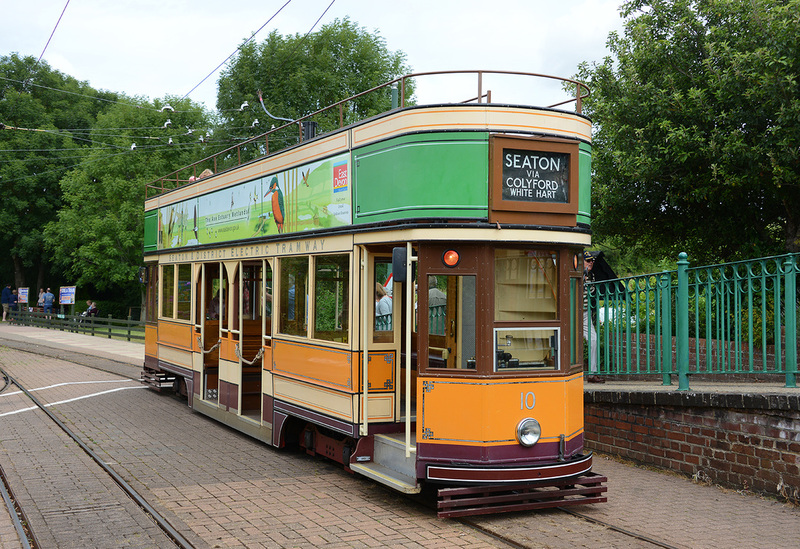 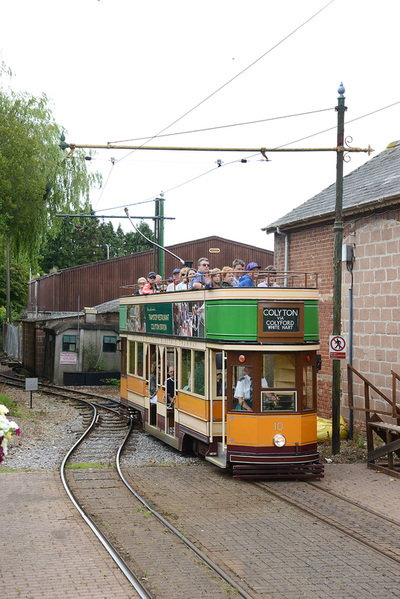 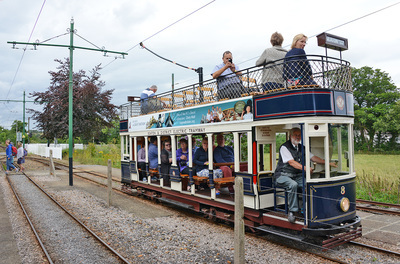 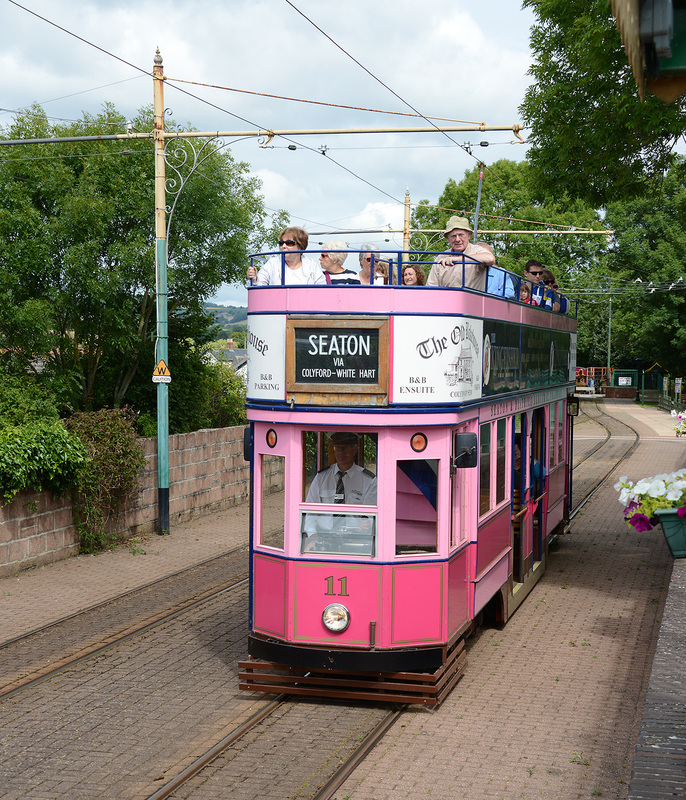 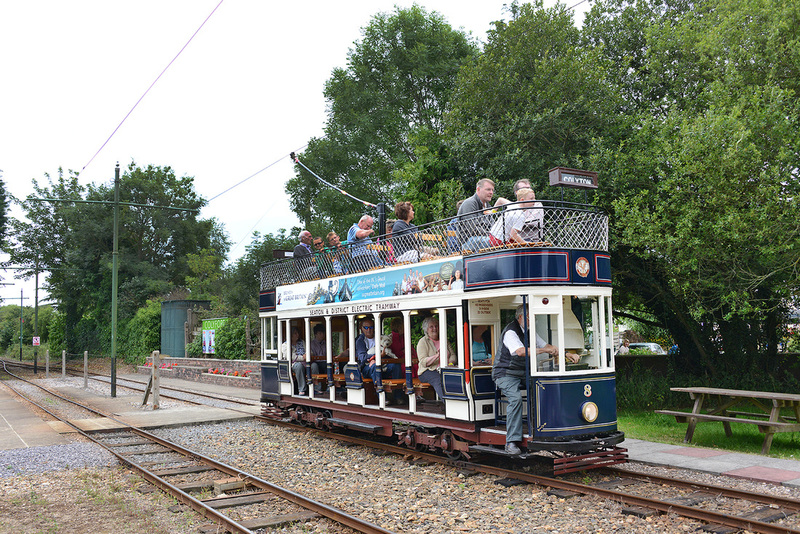 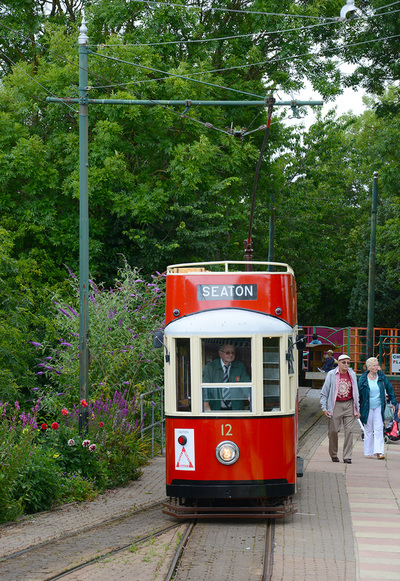 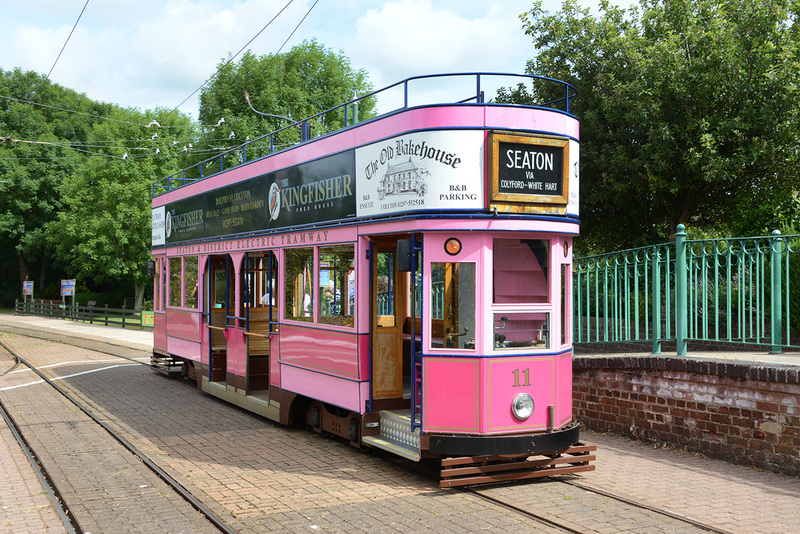 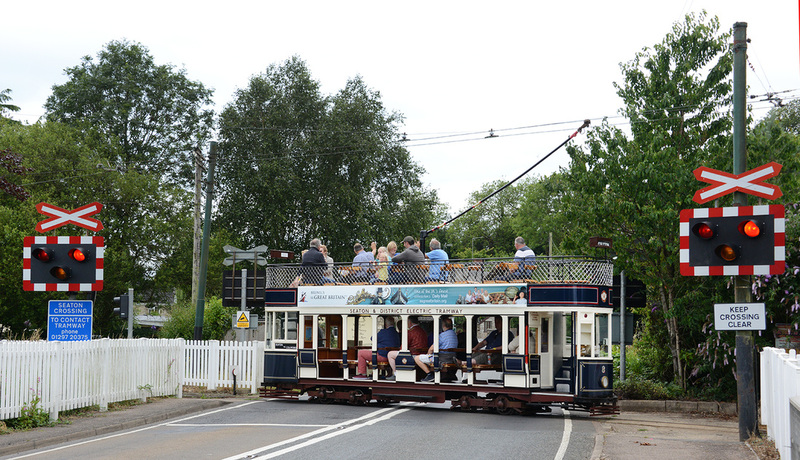 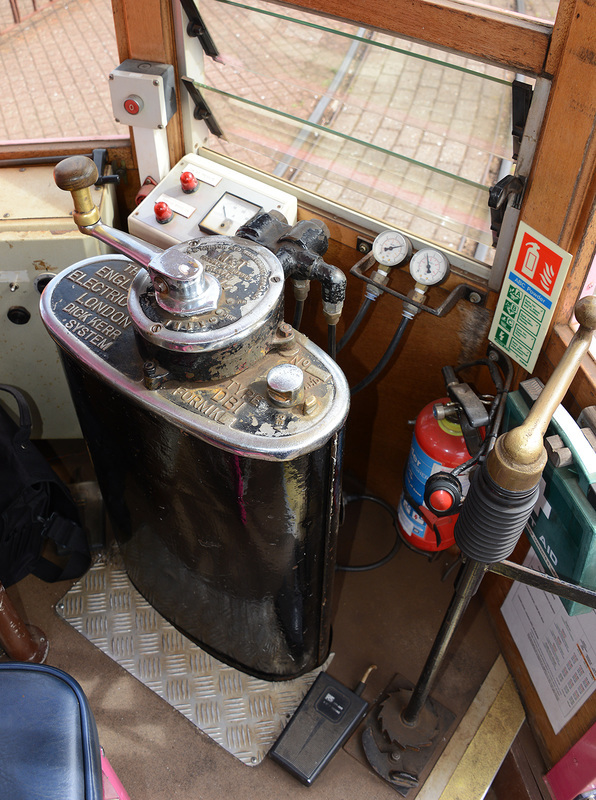 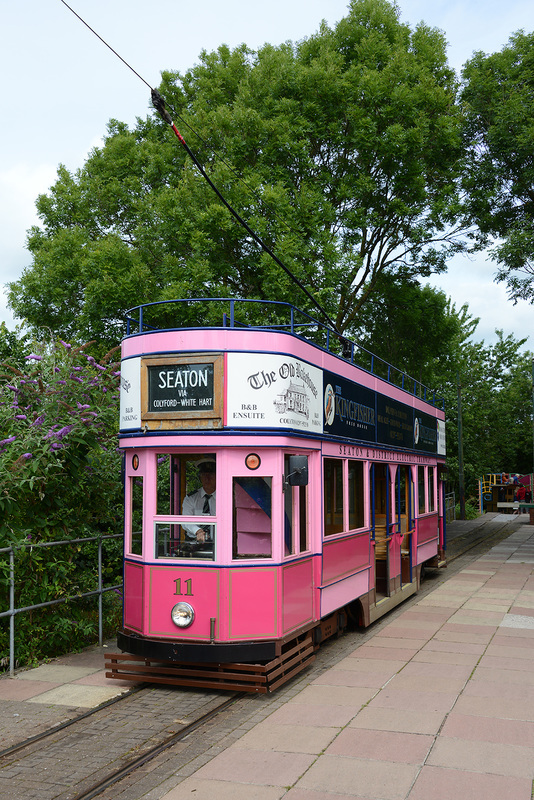 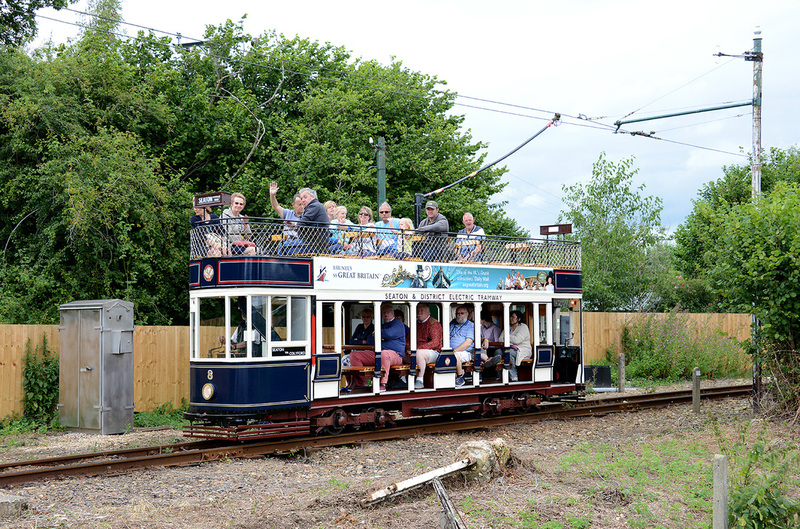 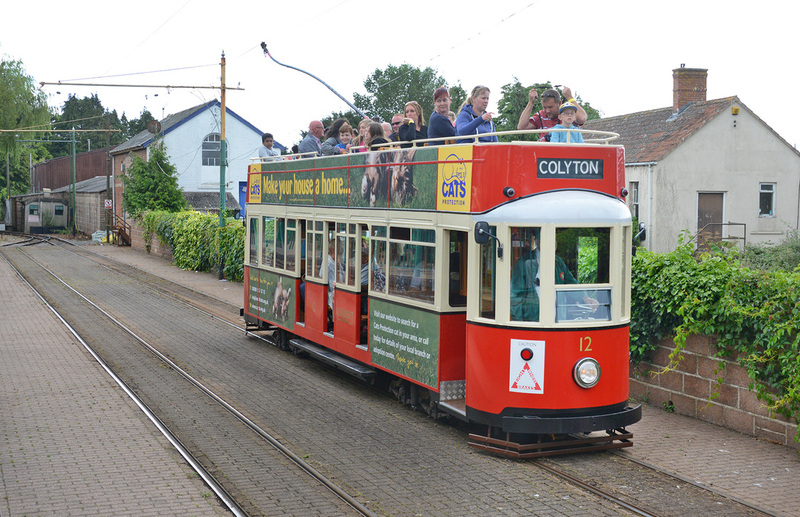 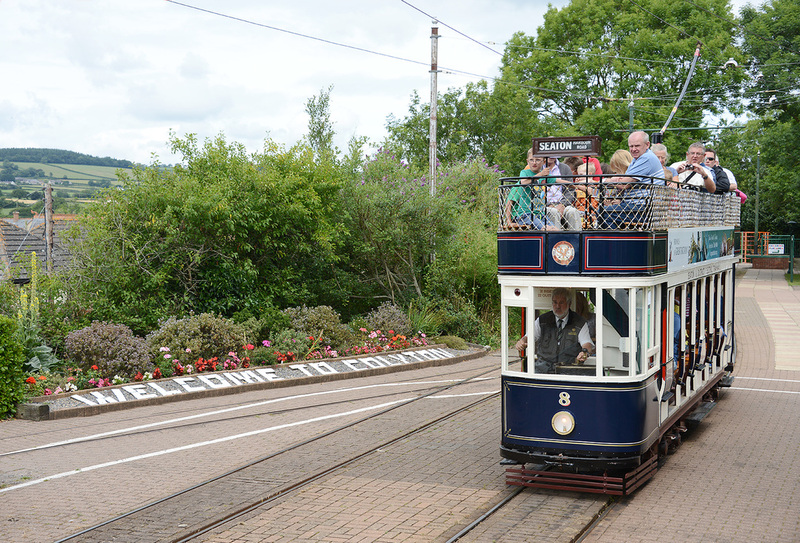 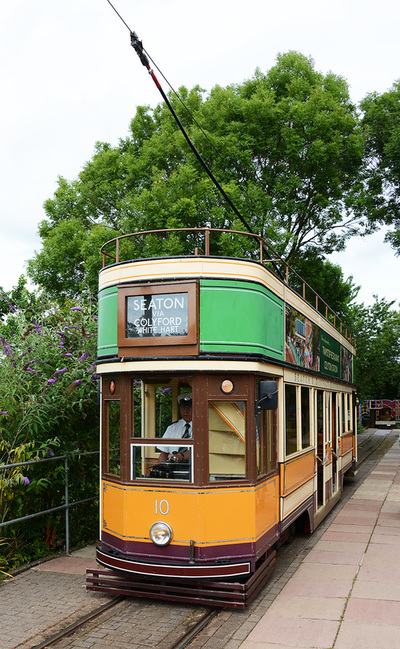 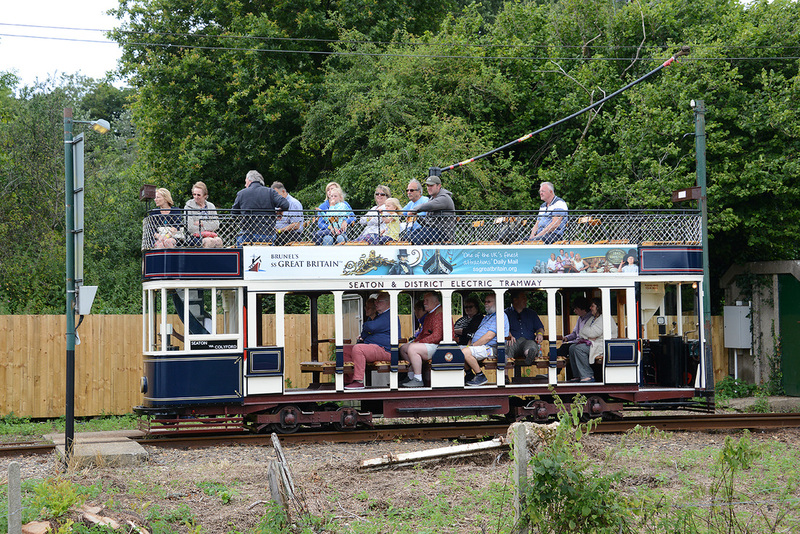 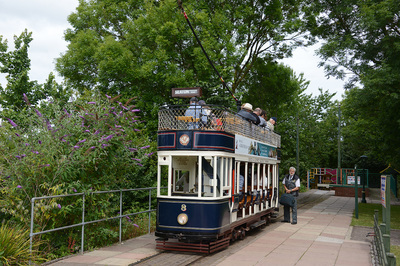 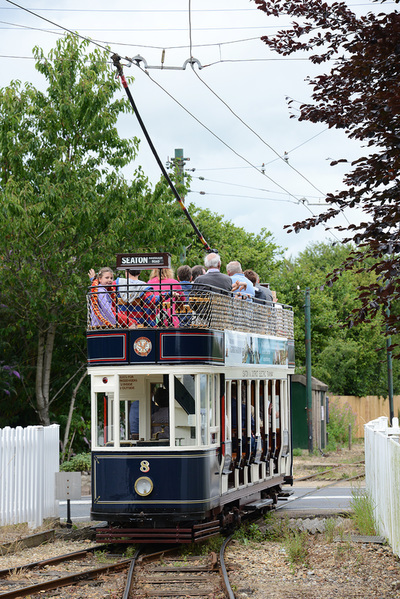 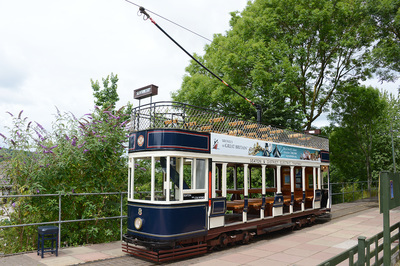 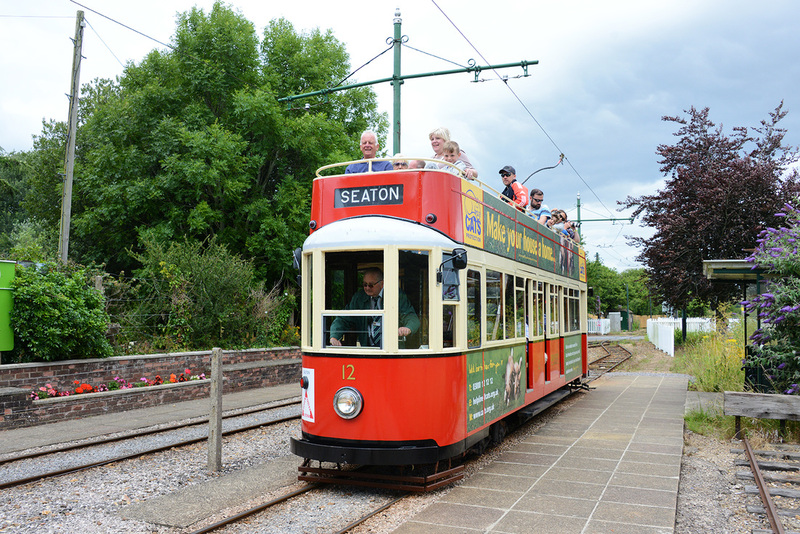 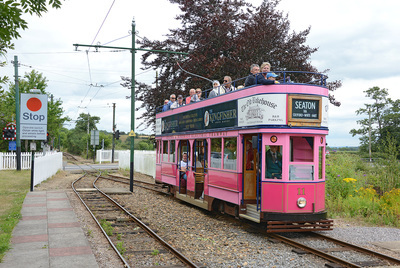 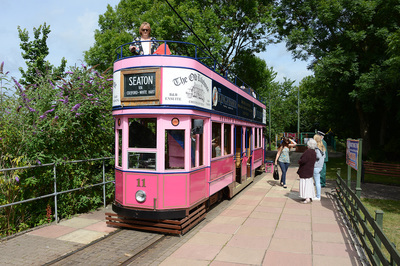 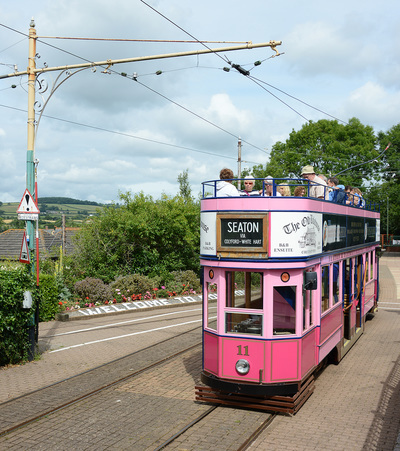 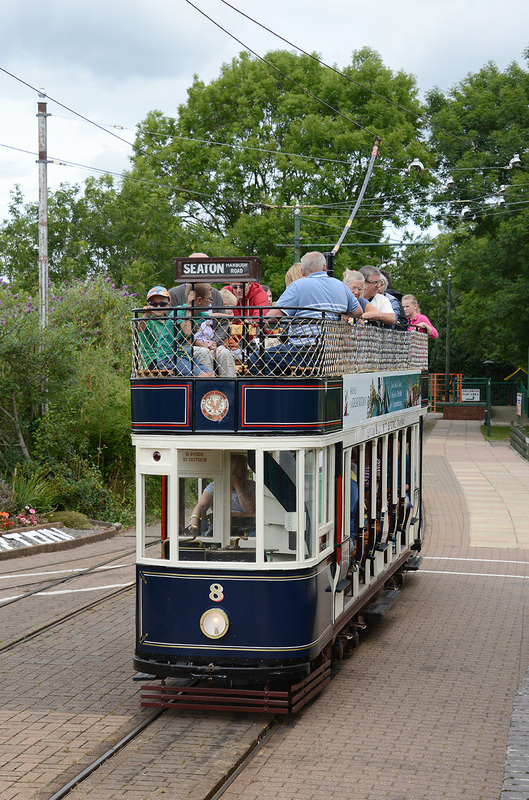 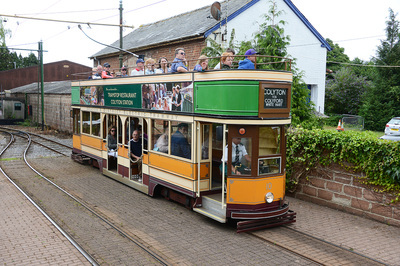 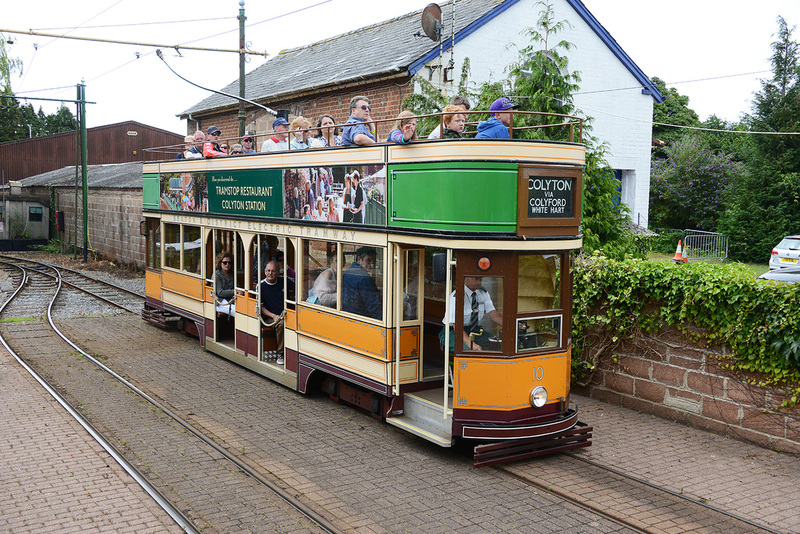 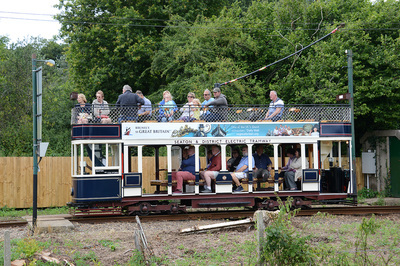 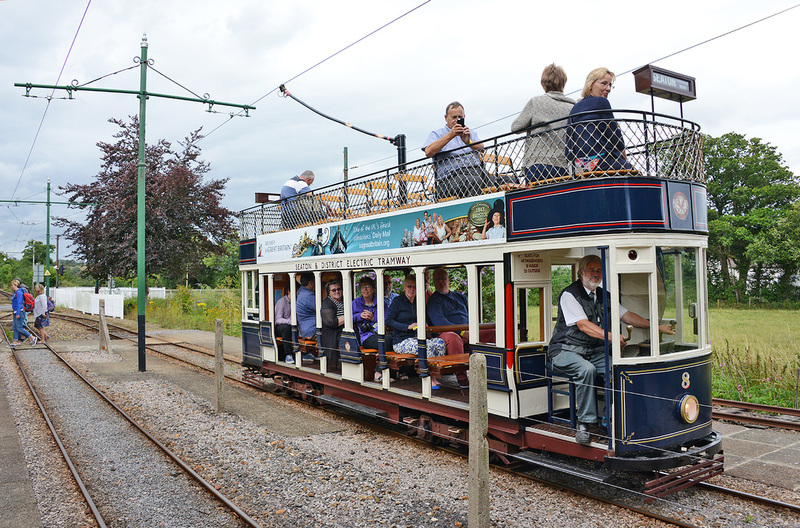 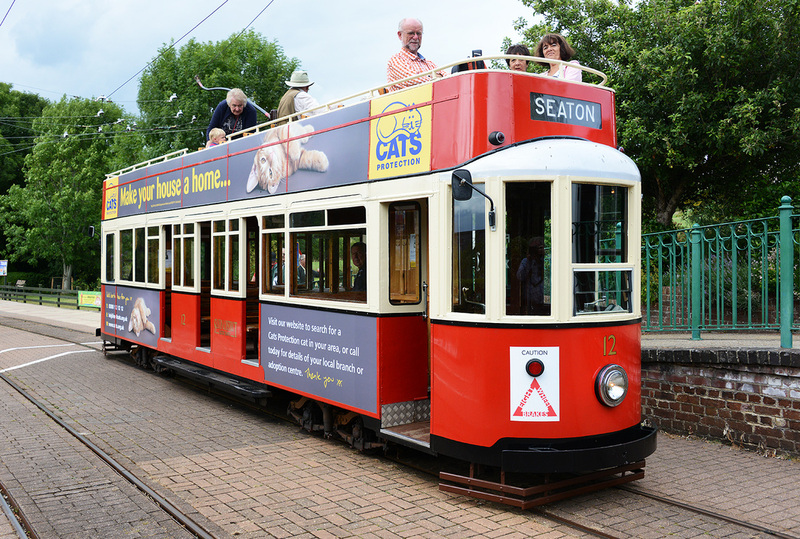 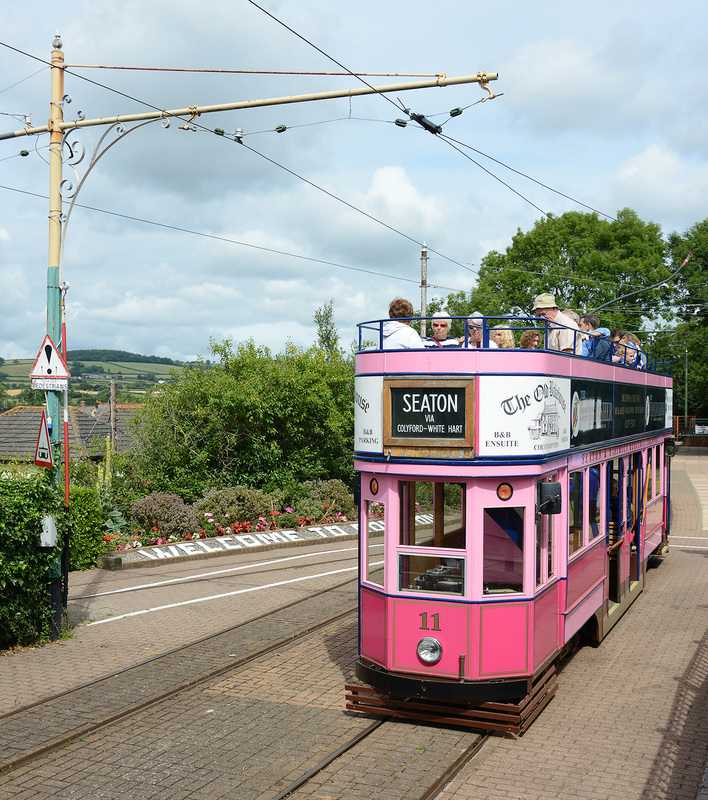 The Seaton Tramway runs three miles through the beautiful Axe Valley from Seaton to Colyton in East Devon, a journey which takes around 25 mins. 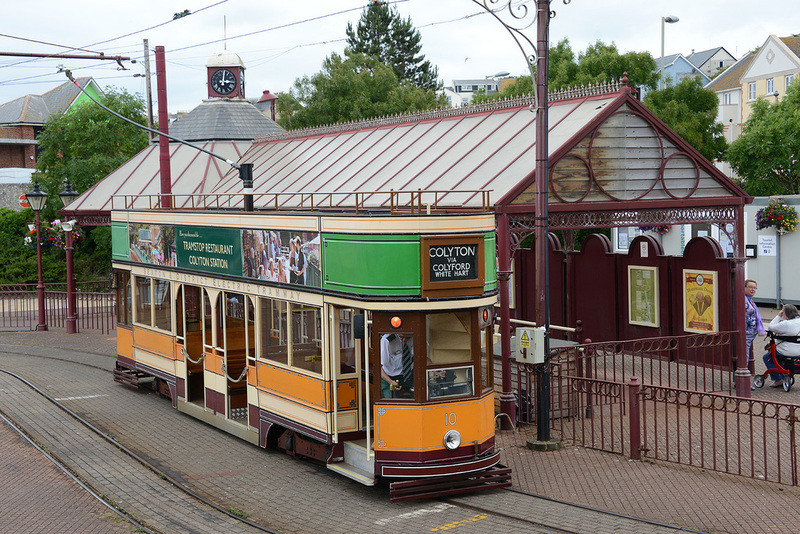 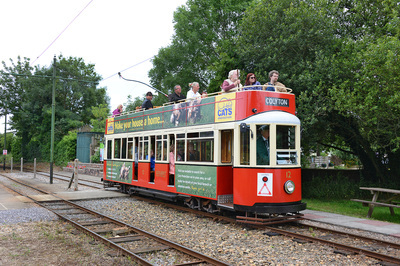 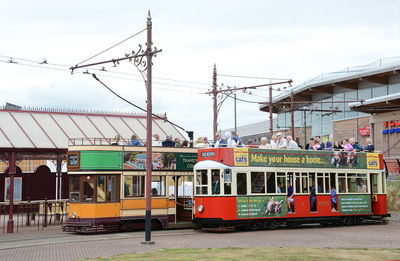 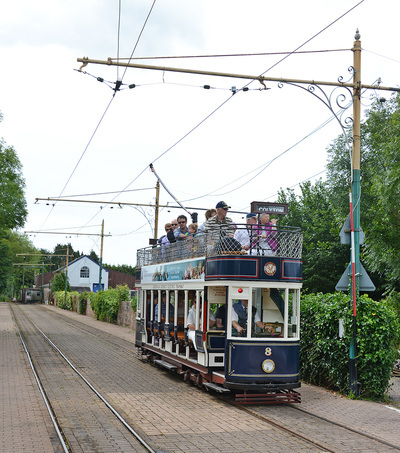 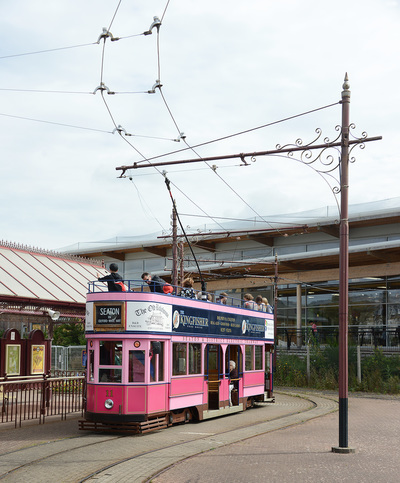 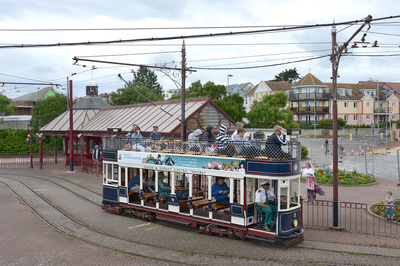 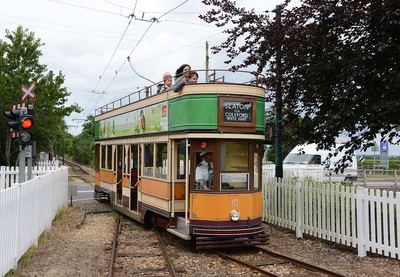 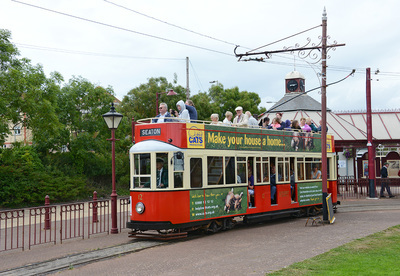 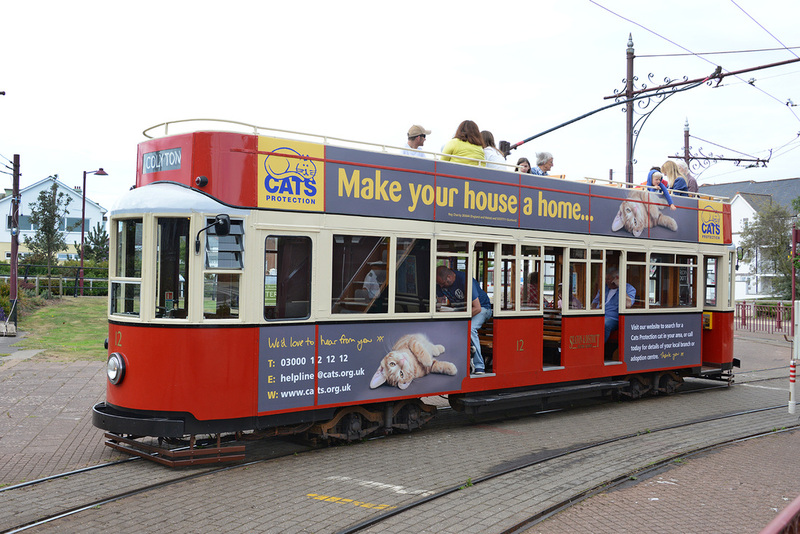 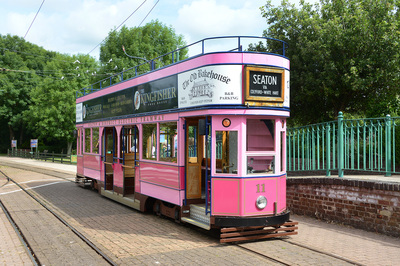 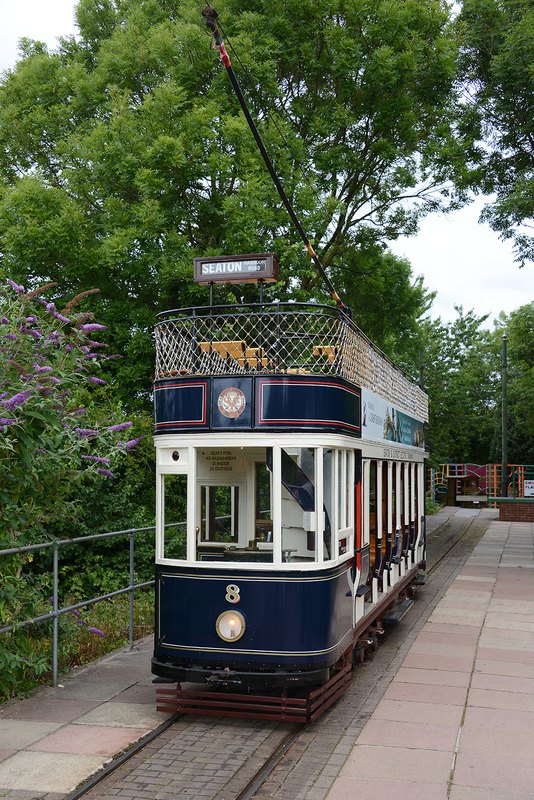 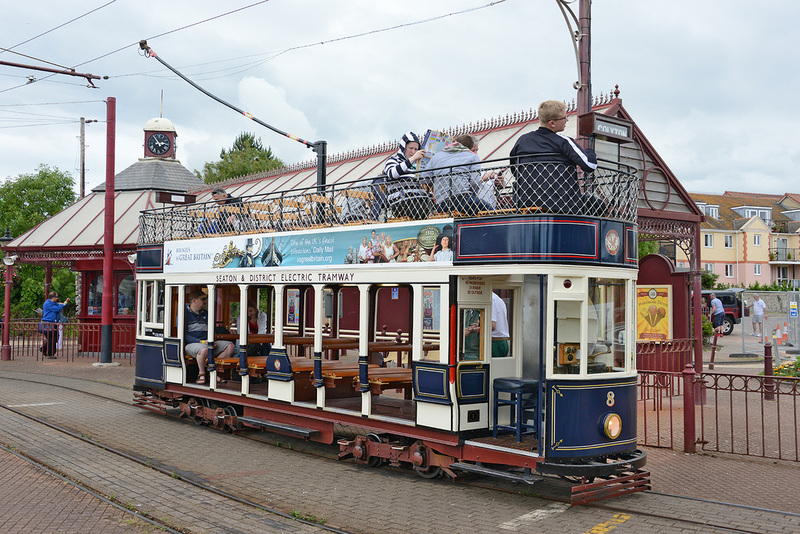 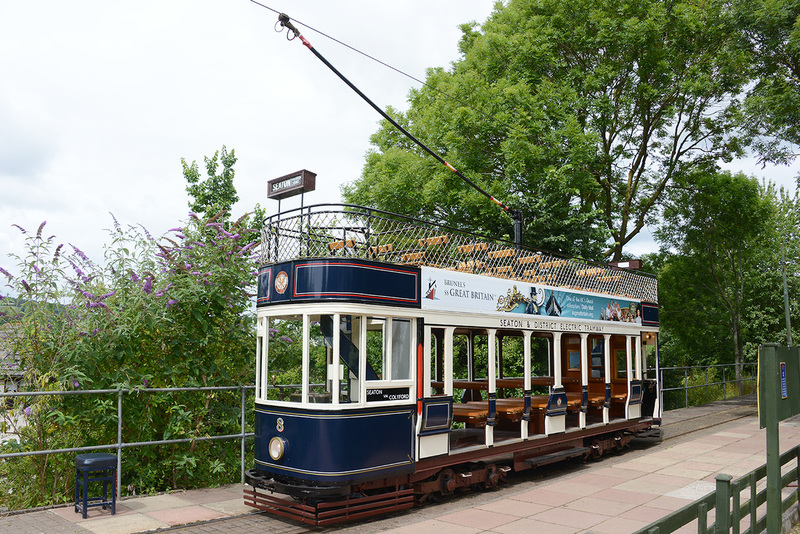 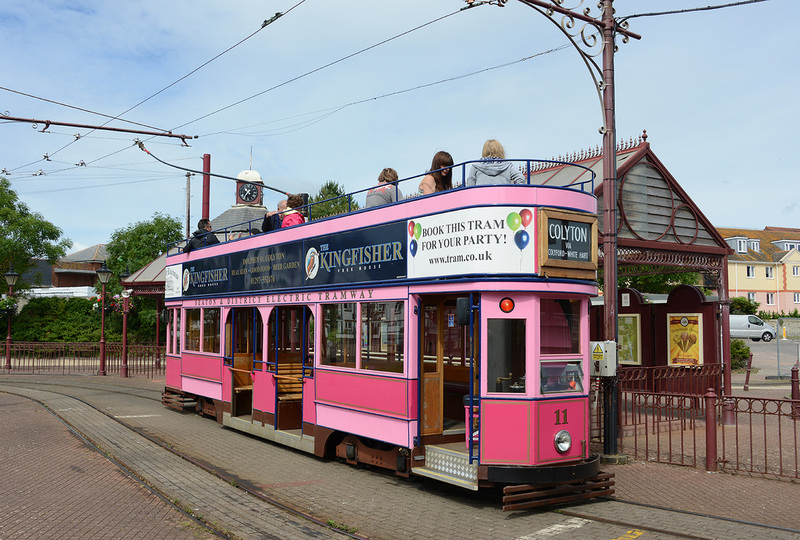 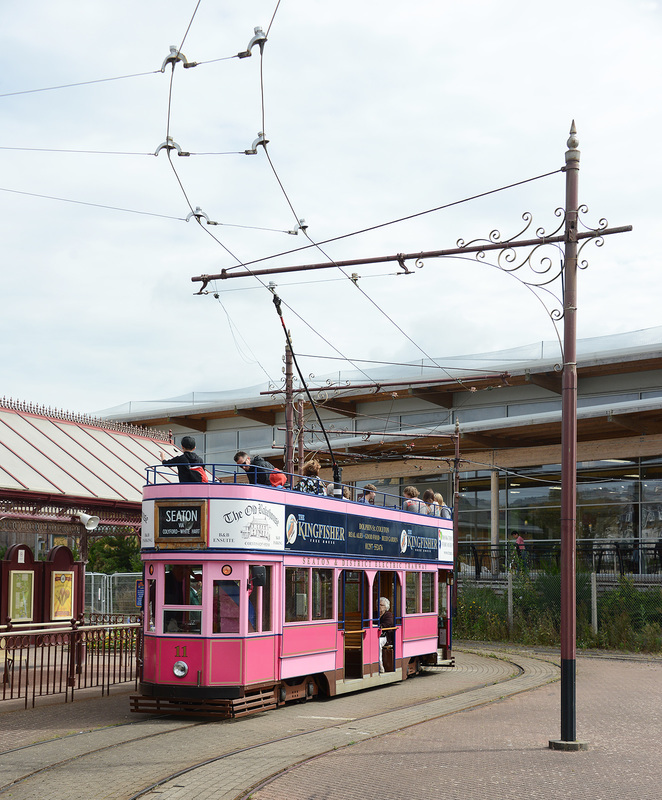 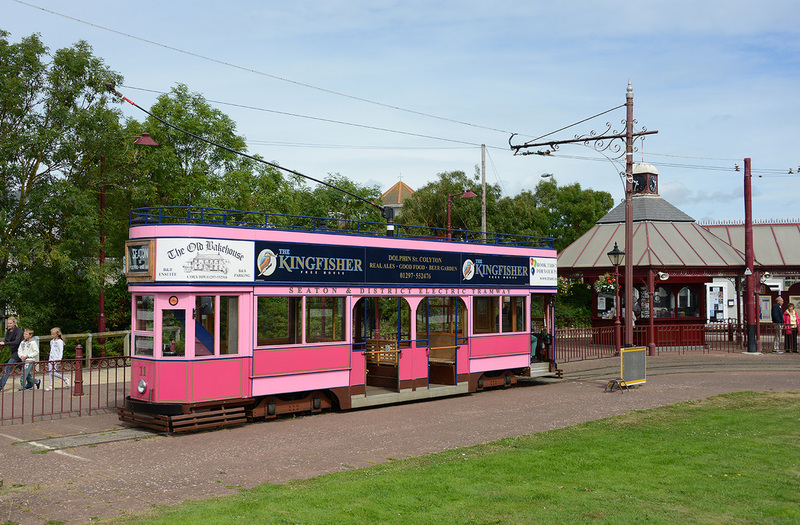 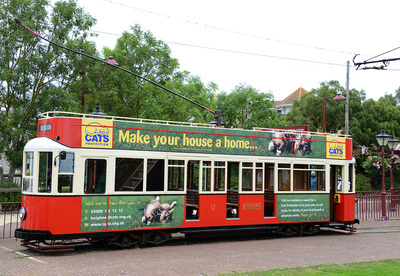 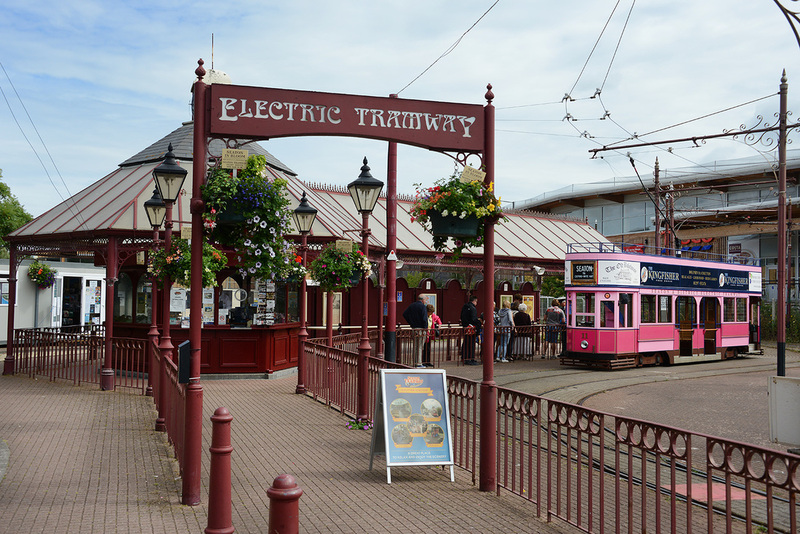 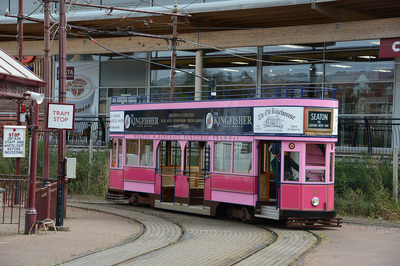 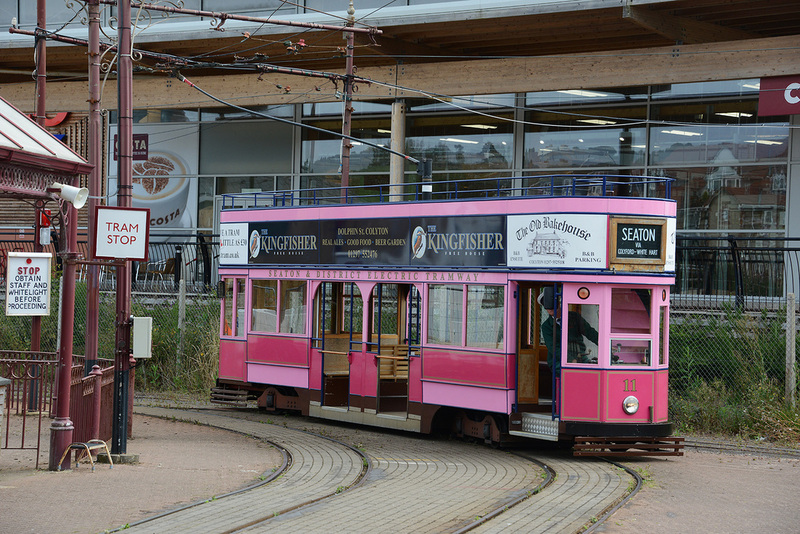 A fleet of 14 operational 2ft 9in gauge trams operate the service. 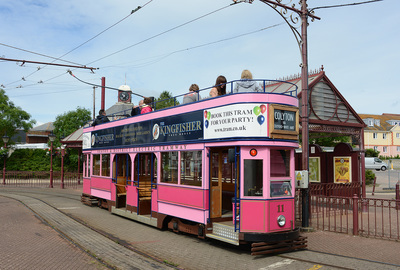 A mix of single and double deck cars open and enclosed. The selection of pictures below were recorded on 23 July 2015.